The author of even this page is white explains how the book changed from a novel to a poetry collection during the writing process. 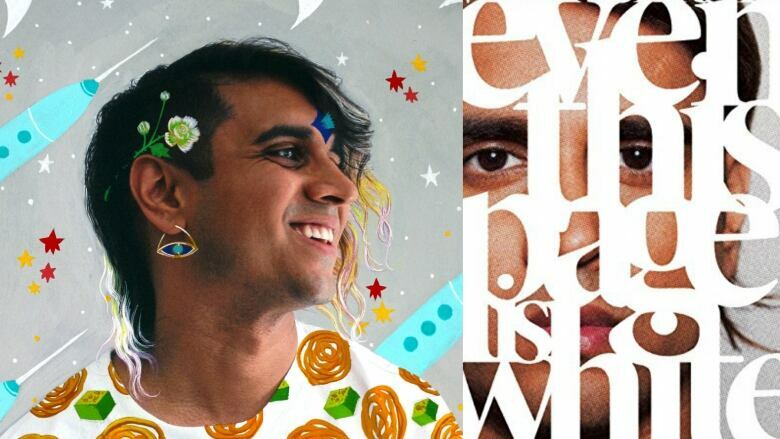 Vivek Shraya is the author of poetry collection even this page is white. The collection began as a novel, but as Shraya explains below, she found poetry to be a much better medium for the content. I had written She of the Mountains, my first novel, and I was gunning to get a head start on the next one. The idea for the novel was for it to be an allegorical exploration of race, something dystopian, set in the future, that kind of thing. But the more I wrote, the more I worried that allegory isn't actually an effective way to talk about race and racism. One of the hard things about racism is that it's something people often think exists elsewhere, maybe in a far-off land. So allegory felt ineffective, or I worried about how effective it was. My friend Amber Dawn, who is an amazing poet, had read She of the Mountains about six months prior and said that she found the novel to be very poetic and had suggested that I push more in that direction. So I thought okay, I'm going to just try this thing out! I highlighted the sections of my draft that felt the most poignant or effective, and then I took those highlighted words and started creating poetry out of them. There was something about poetry — an immediacy to the words, and the ability to condense the language. With a novel there is an expectation to provide a clear beginning, middle and end, and a resolution. But what was liberating about poetry was that there is no obligation to provide answers. I fell deeply in love with poetry as a medium. Vivek Shraya's comments have been edited and condensed.